As I’m writing I’m sitting by the window looking out at the snow and the arctic conditions brought to us by the “Beast from the East”! The balmy warmth of those summer day weddings seems a bit of a distant memory and, despite heavy rain for a lot of the day, Hollie and Jason’s wedding day was warm enough for people not to be wearing scarves, hats coats and many, many layers! We constantly complain about the weather here in the UK but it’s sheer variety is truly wonderful and inspiring the stark contrast between the seasons provides a comforting rhythm to the passing of time I think! I always enjoy photographing at a new venue and my first visit to Wilobe Farm Barn didn’t disappoint! I’ve chosen a small selection of images from the day below and, as ever, I’ll provide a little commentary along the way! 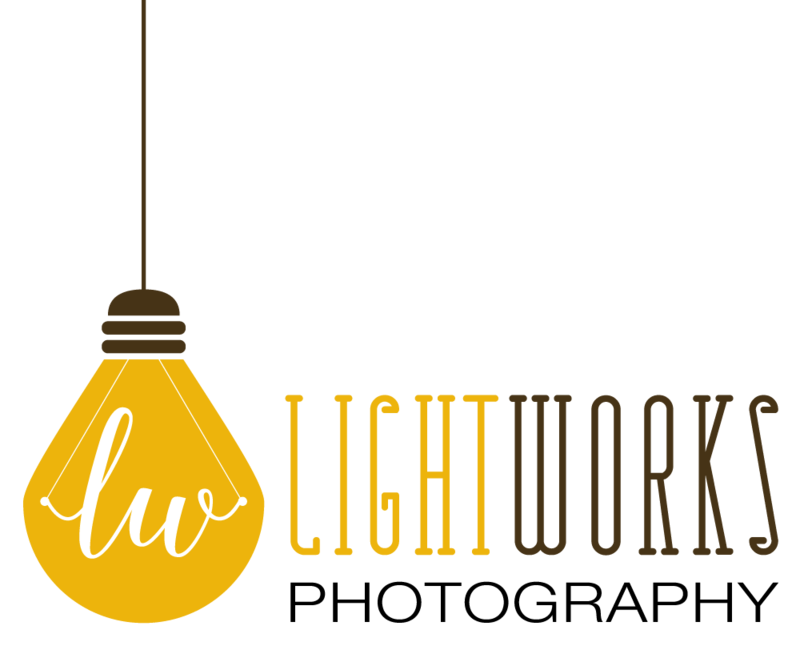 If you are looking through a number of photographer’s websites you will have noticed that blog posts always seem to start with prep shots…..logical enough as they are first thing in the morning but it can get a bit repetitive always seeing make up pictures first. So, just to be radically different, let’s start at the end of the day……. 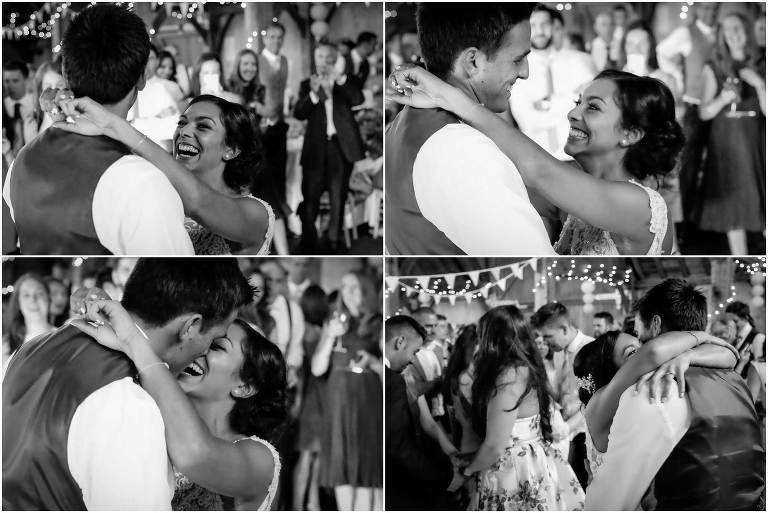 So, Hollie and Jason’s first dance…..very much the culmination of events and you can just feel the joy and the sense of relief just to have got there! They went for the traditional “hang on and sway” approach but it’s no less romantic for that! ….and previously there were some extremely entertaining speeches. 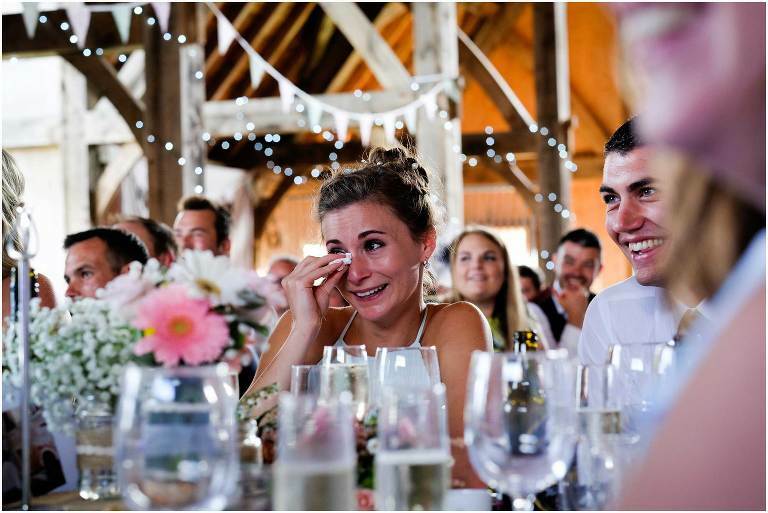 I love looking for people’s reactions……laughter, smiles and tears and some of the most natural and telling images of a wedding often come from this time of the day. …guests in the afternoon (when it wasn’t actually raining!) Maybe one day we will look at pictures like this and laugh at how primitive our phones and current “selfie” culture is! 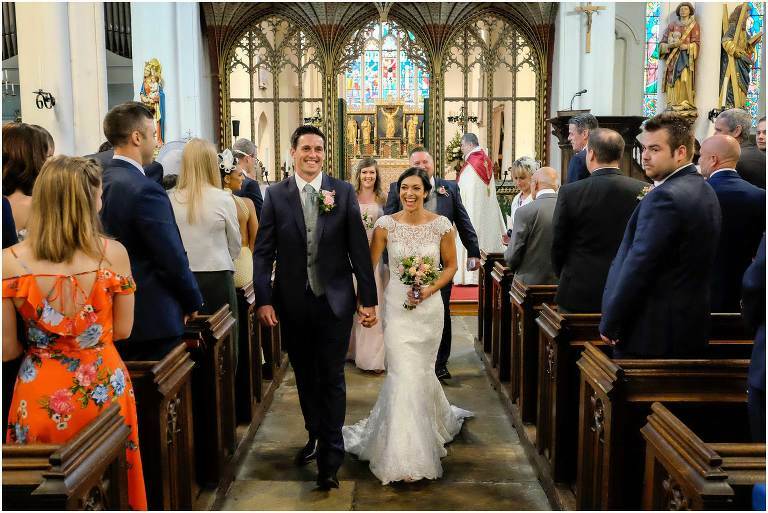 Hollie and Jason went for a quick walk just after the ceremony before leaving for the reception……golden moments as these are the first minutes as a married couple and it was the first time they had really had chance to have a chat! I always try to record the actual signing of the registar where I’m allowed to as I think it’s an important moment. I just really liked the composition of this image. Those moments between the bride and groom during the ceremony are always particularly important……..the first time they see each other and also looks and glances throughout the service. 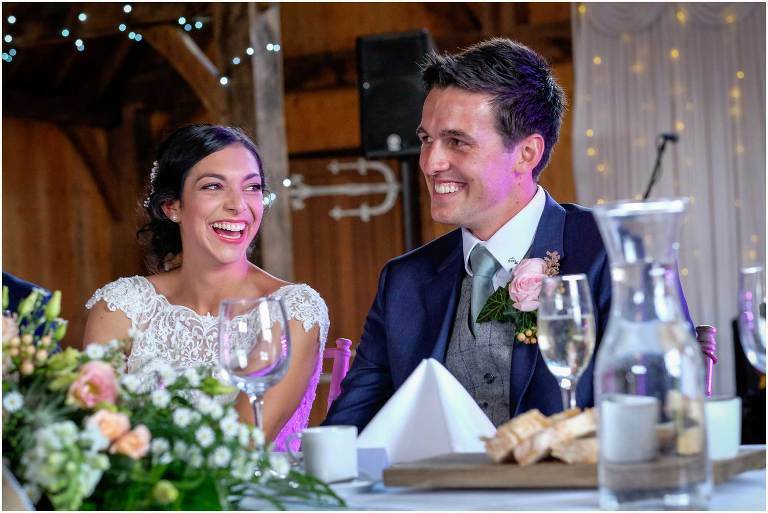 The actual moments when they say their vows are amongst the most personal and having images of the expression and communication between the couple is really important. Before Hollie arrived Jason was waiting slightly nervously in anticipation. Hollie arriving and her bridesmaids…..I do enjoy a good reflection shot! …and finally…the preparations for it all in the morning. Makeup shots and dresses and just a little bit of pre-wedding nervousness amongst the excitement!